According to Equifax’s statement, “The information accessed [by the attackers] primarily includes names, Social Security numbers, birth dates, addresses and, in some instances, driver’s license numbers. In addition, credit card numbers for approximately 209,000 U.S. consumers, and certain dispute documents with personal identifying information for approximately 182,000 U.S. consumers, were accessed.” The company discovered the unauthorized access on July 29, 2017 and acted immediately to stop it. Equifax is currently offering free credit monitoring services to any consumer who’s information was affected by the breach. Consumers can go to www.equifaxsecurity2017.com, to check if they have been affected by the breach, as well as to sign up for their free year of credit monitoring services. This monitoring service looks at all three major credit reporting companies: Equifax, TransUnion, and Experian. 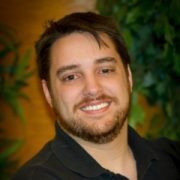 Benjamin Schneider is the Senior Systems Engineer and Service Manager for TechSoft Systems. He is in charge of ensuring the security and functionality of every client's network and ensuring world-class service delivery for each of our clients. In Ben's spare time, he is both a singing member and a member of the board of directors of the Cincinnati Men's Chorus. He also enjoys spending time with his family and his two cats: Ziva and Toni.